Cincinnati District 3 headquarters at 2300 Ferguson Road. "Cincinnati LEEDs The Nation," a documentary about the innovative design of Cincinnati Police District 3 headquarters in Western Hills, premieres 9 p.m. Thursday, Nov. 9 on WCET-TV (Channel 48). District 3, at 2300 Ferguson Road, was the first U.S. police station to achieve "net zero energy," generating enough renewable energy to meet its own annual energy consumption from 1,200 solar panels on the roof and 40 geothermal wells. LEED (Leadership in Energy and Environmental Design) is a widely used rating system for highly efficient and cost-saving green buildings. Peabody Award-winner Laure Quinlivan -- the former WCPO-TV I-Team reporter -- wrote, directed and produced the film. Quinlivan, president of the LQ Consulting video storytelling company, is a former Cincinnati City Council member. She was not among the nine persons elected to council Tuesday. 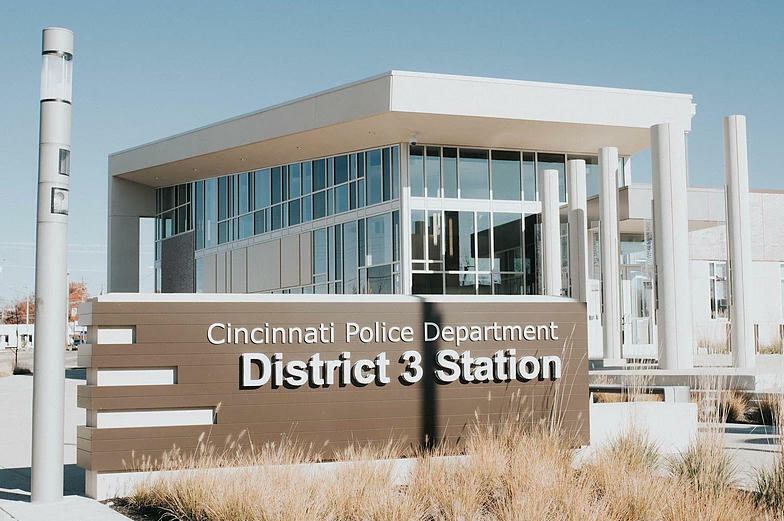 After doing short videos for Messer Construction and the City of Cincinnati about the District 3 building, Quinlivan proposed making a documentary about the state-of-the-art police station for WCET-TV. 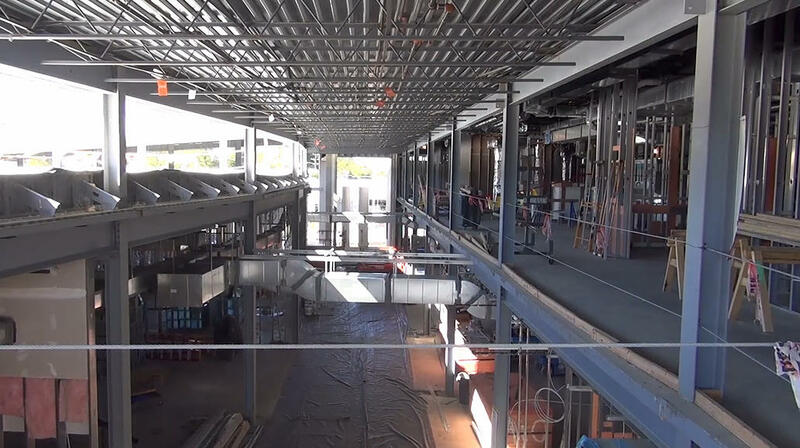 Construction of District 3 building. “Police departments across the country have been beaten up for different things and it’s a tough climate. Stories like this—that highlight some of the good things officers are doing and the facilities we have—improve the perception and the relationships we have with the community, “ said Aaron Jones, Cincinnati Police captain and District 3 commander, according to the CET announcement. “The documentary is my passion to showcase Cincinnati’s sustainability and inspire other cities to shoot for the highest goals,” Quinlivan said in the CET announcement. "Cincinnati LEEDs the Nation" features original music by local composer Alex McKenzie, and videography by Glenn Hartong and Brendan Jeffrey. Brandon Wayman and Brandon Kraemer edited the film. The program will be offered to 365 PBS stations around the country after Thursday. More information about the film is available at the CincinnatiLEEDstheNation website. 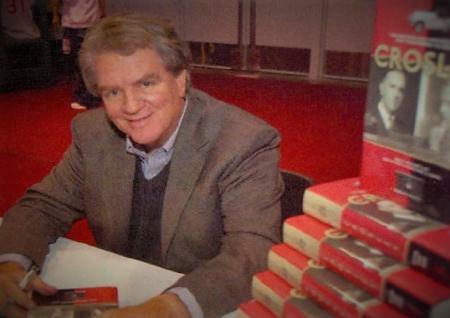 Crosley historian and author Rusty McClure gives a uniquely personal look at Cincinnati's Crosley manufacturing and broadcasting empire Friday, Nov. 10, at the National Voice of America Museum of Broadcasting on Tylersville Road in West Chester Township.